Refractive surgery changes the corneal surface or your eye, which can make fitting contact lenses more challenging than it would otherwise be. In fact, many people who’ve had laser in-situ keratomileusis (LASIK), photorefractive keratectomy (PRK) or radial keratotomy (RK) will require a specialty contact lens design if they choose to wear contact lenses at some point following surgery. This is especially true for patients who’ve had RK. Most people who have refractive surgery do so hoping that it will free them from glasses and contact lenses. The reality, however, is that many people eventually return to contact lens wear at some point down the road. There are lots of reasons for this, depending on what type of refractive procedure you had. Radial keratotomy (RK) gained popularity in the 1980s as a way to correct myopia (nearsightedness). In RK, surgeons created spoke-like incisions to flatten the eye's surface. Though many patients were pleased with the results, others experienced significant problems. As a result, this type of refractive correction is no longer commonly performed, except as needed for the correction of otherwise untreatable astigmatism. Although RK is mostly a thing of the past, many people who had it are now starting to develop what’s known as hyperopic regression. They’re also developing natural age-related presbyopia. 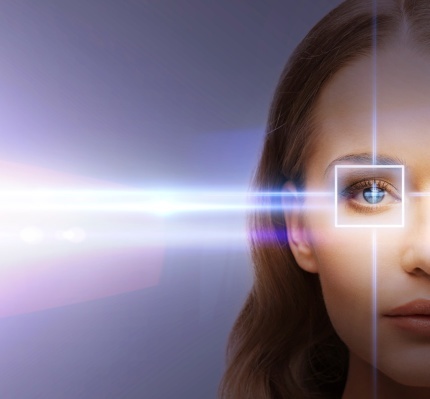 Most people who have refractive surgery today undergo either PRK or LASIK. While LASIK is by far the most popular, many patients are advised to select PRK, since it can be a safer option if you have specific anatomical issues. LASIK and PRK usually offer perfect vision with no need for additional correction with glasses or contacts. But this isn’t always the case. If the surgery is only slightly off, you may be faced with a decision to either receive a surgical “enhancement” or use glasses or contact lenses. In rare cases, an enhancement isn’t possible. Another reason why you may need contact lenses after refractive surgery is because you’ve developed age-related presbyopia. This is very common among people who had surgery in their 20s or 30s and are now in their 40s or 50s and finding it difficult to see objects up close. Rather than returning to glasses or dealing with the inconvenience of readers, many presbyopes opt for continued spectacle-free living with contact lenses. What Makes Post-Surgical Eyes Different? Conversely, if you had LASIK to correct hyperopia, your central cornea will be heightened compared to the periphery.4 In either case, this can present a challenge for your doctor who will need to select a well-fitting contact lens. Because contact lens fittings on post-surgical eyes are more complex, it’s good to do your homework and make sure your doctor is using the latest technologies and lens designs. In most cases, contact lenses can be worn safely and effectively following refractive surgery. However, many doctors believe that traditional soft hydrogel lenses are contraindicated (not advised) in people who’ve had RK. And, even patients who’ve had more modern procedures often desire more optical stability than can generally be offered with an off-the-shelf soft contact lens. For this reason, many people consider rigid or “hard” gas permeable (GP) lenses following surgery. But while these can more precisely fit a post-surgical eye, some patients find them to be uncomfortable and inconvenient. Hybrid lenses have been designed to bridge this divide between hard and soft contact lenses. These advanced designs, made by SynergEyes, combine a GP center (so that the optics are crisp and consistent) with a soft lens skirt (so that you also can enjoy the benefits of comfort and ease-of-wear). These custom lenses, called UltraHealth, even come in a special design—the UltraHealth Flat Curve (FC)—created to address the unique needs of refractive surgery patients who have flat, or oblate, corneal irregularities. While you may be disappointed to learn that you need to wear contact lenses after spending thousands of dollars on refractive surgery, you’ll likely be quite pleased with the remarkable vision you can enjoy in an UltraHealth lens. 1. Roberts C. Biomechanics of the cornea and wavefront laser guided refractive surgery. J Refract Surg 2001; 18: S371-373. 2. Dupps WJ, Roberts C. Effect of acute biomechanical changes on corneal curvature after photorefractive keratectomy. J Refract Surg 2001; 17: 658-669. 3. Oshika T. Klyce SD, Applegate RA, et al. Comparison of corneal wavefront aberrations after photorefractive keratectomy and laser in situ keratomileusis. Am J Ophthalmol 1999; 127: 1-7. 4. Steele C, Davidson J. Contact lens fitting post-laser in situ keratomileusis. Contact Lens and Anterior Eye 2007; 30: 84-93.